« What Is High Density Storage, And How Do You Use It? Whether it’s the holiday shopping season, the back-to-school rush, or a certain point in the year due to another industry, every warehouse will have peak seasons. Countless words have been written on how to prepare for specific peaks in sales, but how do you know what those peaks are in the first place? 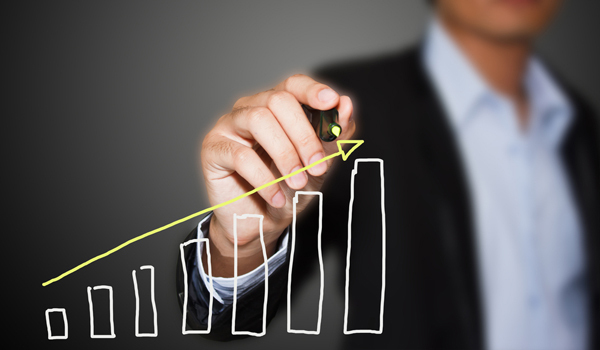 Do you have a method for identifying sharp rises in sales, even in the short term? And what do you do when those peaks arrive? The easiest way to begin preparing for sales peaks is to identify when they happen, and why. Do you have a consistently busy season that arrives at around the same time every year? Do you only stock one product periodically that tends to move faster than others? Or is there just one order that always seems to tip things over into disarray? Understanding what causes your sales peaks is a great way to get out in front of them. Track sales throughout the year to measure when these peaks happen and try to identify the reasons why – certain items, certain times of year – and then take steps to get ready for them as the cycles come back around. This ties in with the last step, but the data you keep needs to be all-encompassing. In addition to sales metrics, review all previous data like inventory levels, ordering metrics (how long it takes to fulfill certain orders, etc), peak times of day for order influx and fulfillment, and so on. Preparing for peak seasons requires a complete understanding of all available metrics so you can better process what sales happen when, and how they affect your business overall. After identifying the causes of your peak sales seasons, the next step is to review how you handle merchandising and inventory to compensate for these increases in sales. Are your sales regularly close to your initial inventory buying plan? Did you encounter any major storage capacity issues that require you to buy more warehouse shelving or wire shelves? Are you always left over with a ton of excess inventory that needs to be stored long-term? Review your inventory strategies with the end goal in mind of reducing overstock and making sure you always have as much of each item as you need to sell without a ton of leftovers (or being caught short-handed) and adjust ordering levels accordingly. Picking methods: Are your items where they’re supposed to be? (Or do your inventory layouts point people in the wrong direction?) Are a lot of items coming up missing – and if so, are they always the same item or is it a series of random incidents? Are picking delays being caused by other problems such as congested aisleways or equipment issues? Returns: Why are items being returned? Is it due to vendor issues, issues with the item itself, or are orders being handled improperly (wrong item being sent, etc)? Answering these questions will help you understand what role your ordering process fulfills in your overall peak sales management strategy, and how to streamline everything going forward.